Bold They Rise tells the story of the Space Shuttle through the personal experiences of the astronauts, engineers, and scientists who made it happen—in space and on the ground, from the days of research and design through the heroic accomplishments of the program to the tragic last minutes of the Challenger disaster. In the participants’ own voices, we learn what so few are privy to: what it was like to create a new form of spacecraft, to risk one’s life testing that craft, to float freely in the vacuum of space as a one-man satellite, to witness a friend’s death. 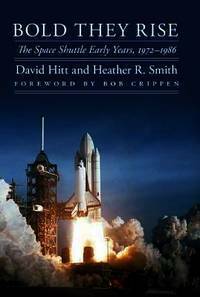 A “guided tour” of the shuttle—in historical, scientific, and personal terms—this book provides a fascinating, richly informed, and deeply personal view of a feat without parallel in the human story.